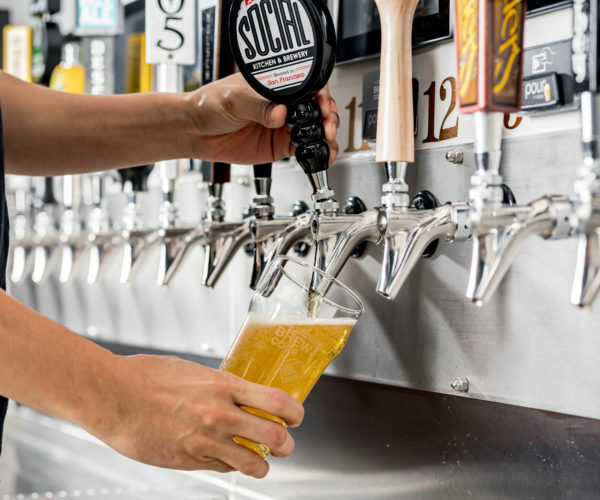 A new technology has recently transformed the way America drinks beer — the self-pour beer taps. Dispensing beer will never be the same. Josh Goodman is at the forefront of this revolution, the founder of PourMyBeer. PourMyBeer supplies drinking establishments with machines that let patrons pour their own beer. More beer gets puts in glasses. Bars and restaurants make more money. Customers never have to wait around for a refill. Happy customers revisit the establishment. The simplicity of this new system explains our company’s explosive popularity. But the elegance of PourMyBeer involves a true understanding of the modern era. Goodman has harnessed the availability of basic technology and paired the fruits of our age with the desires of contemporary people. Interest in self serve beer has taken the world by storm. For the consumer, the novelty and convenience of self serve beer has electrified the bar experience. The enjoyment and ease which customers use self serve equipment has bar owners also taking notice. Bar owners see the money-making potential of draft beer dispensing systems. The obvious advantages to installing the equipment has many establishments wanting to sign up for a self serve tap. Self serve beer takes the complexity of a bar experience and reduces it to its elemental parts: a glass and a tap. Getting a beer has never been easier. And it’s all thanks to a subtle epiphany experienced by a man at a bar. One evening at a Baltimore sports bar, Josh Goodman sat at table with an empty glass. The Orioles game hadn’t come on yet. Goodman and his friends had planned on having a few pre-game beers, and they had just finished their drinks. Nothing seemed unusual about the bar. Busy servers brushed past customers. The bar staff rushed to make drinks while recording a hectic stream of orders. The scene was overwhelmingly familiar, as was Goodman’s empty glass. The bar was packed with thirsty beer drinkers ready for game night, and the staff couldn’t get beer out to customers fast enough. Goodman recalled, “We just couldn’t get another beer served to us quickly.” Waiting around for a refill, Goodman had time to think about the situation. Surely he wasn’t alone in his frustration. There was something wrong with the system — it simply wasn’t working. Goodman felt bad for the bar. Empty glasses meant lost profits. There had to be a more effective way to get beers in hand quickly and efficiently. Then, Goodman realized something. If customers could serve themselves, it would eliminate the wait time for customers while increasing earnings for the bar. Goodman explained in an interview with Bloomberg TV, “The whole idea is to make everything more efficient.” PourMyBeer essentially streamlines the whole bar experience. Once Goodman knew the model for reworking the modern bar, he buckled down. Goodman set to work. In the span of a several months, he created PourMyBeer after moving to Chicago with his wife. He believed in the idea. Investing $20,000 of his own money, he made a deal with an American manufacturing company. The initial venture centered on a series of beer tables with up to four self serve taps. Goodman secured his first deal with a Baltimore tavern in February 2009 and oversaw rapid expansion in the next two years. By 2011, PourMyBeer had created “beer walls” to which bar patrons could simply walk up and refill their glass with the beer of their choice. Goodman’s clients praise the success of the self serve bar dispenser equipment. Franchise owner Scott Taylor hailed the popularity of these machines. “We’ve seen people waiting in line to use the self serve unit,” he says. Taylor sees the success of these crowd-pleasing beer machines as likely to continue gaining momentum. Taylor continued, “We’re committed to this. It’s efficient and we’re making a little more money on beer sales. Most importantly, our customers think it’s neat.” Taylor has already installed PourMyBeer units in four of his bars and plans to put them in three of his newer establishments. The popularity of self serve beer relies on the appeal of the machines. Combining a beloved product with a cutting-edge twist has defined the rise of Goodman’s beer machines. In our daily lives, it’s easy to overlook how technology has changed our existence. From communication to transactions, one elemental device exists as the unseen force: the microchip. Microchips carry information, and they can transfer that data to another source. PourMyBeer takes a radio-frequency enabled microchip(RFID) and puts it in a card. Then, the chip gets the necessary information, and the self serve tap recognizes it. The encrypted data relays back from the machine to the card, completing the cycle. Once the machine has sensed the chip, it allows the customer to pour their drink while deducting the drink from their chip’s data. The patron only needs to touch the device, pairing the chip to the sensor on the machine and bingo — beer time. 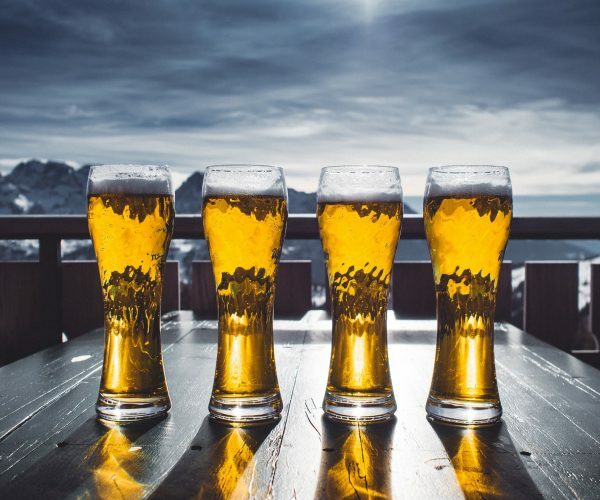 This simple marriage of data not only functions as the backbone of how our machines work, but it also proactively enables establishments to monitor their customers’ drinking. Each chip-activated card comes preloaded with two drinks. Only through using these devices will the self serve machines dispense beer. After the customer exhausts their two-drink limit, they simply enlist a bar staff member to recharge their chip for another two drinks. This interaction allows staff to ensure the customer’s well-being and prevent over-serving. With the advent of this new technology, bars must oversee customer drinking much more closely. The RFID chip-enabled cards form the core of the PourMyBeer strategy. They simultaneously enable the machine to work, create a payment system for the beer, and allow staff to oversee machine use and customer intoxication levels. This incredible technology helps control the self serve bar reality. In any other age, the idea of a self serve beer system belonged to the realm of science fiction. Now, technology has created a new world of increased convenience, profits and knowledge. In addition to the RFID chips, we offer another high-tech feature which heightens the bar experience. 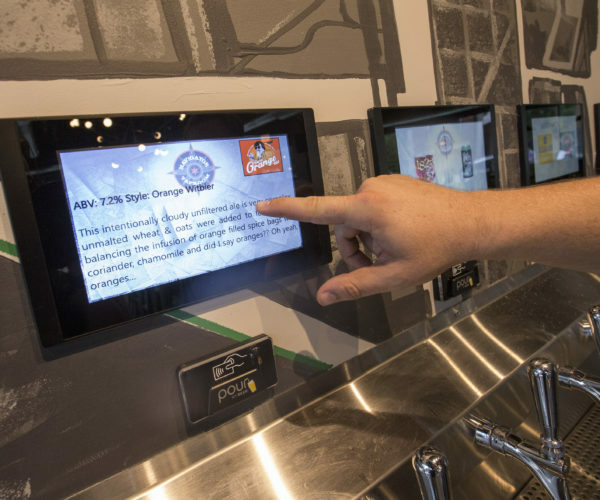 Next to each tap, an interactive touch-sensitive screen lets users learn about the beer. The selection self serve beer offers creates the perfect environment for sampling different beers. Customers can engage with their beer and learn about what makes it unique. PourMyBeer machines cater to the beer lover’s palate. Oftentimes at bars, the staff don’t have time to properly explain the subtle nuances and tastes of each beer to customers. Knowledge defines the beer drinking experience — without it, you can’t appreciate the flavors and characteristics each beer. PourMyBeer wants to educate every customer on the distinct qualities of their beer, which leads to an understanding and appreciation of it. We want to elevate beer-drinking to an art. Just as anyone in an art gallery might pause to examine a painting’s details, each one of our taps features an interactive screen which describes the character of its corresponding beer. The screen readout describes the taste notes and highlights of the beer. With the touch-sensitive screens, PourMyBeer lets users explore their options and increase their familiarity with the products. Each screen lets customers see the brand, alcohol content and flavor profile of the beer. The screens offer both long and short form descriptions. For the beginner or expert drinker alike, knowledge defines the beer drinking experience. Each beer excites the tastebuds with a different sensation. Learning about what makes the different types of beer special helps inform the customer’s choice. With the beer selection on our tap walls, we also display stats that help cultivate personal taste. Discovering which beer your customers like best creates a rich experience and a constantly evolving personal journey. At present, PourMyBeer maintains some presence in at least 200 establishments in 28 states and certain parts of Canada. Many investors eyeing Goodman’s company anticipate expansions in the international market including Brazil and Italy. Offering our services to travel-weary patrons, we rolled out a beer wall in Chicago’s O’Hare airport. This type of beer dispensing tap system works perfectly in crowded environments where no one has time to stand in line — especially before catching a flight. In 2013, our first year, we made over $400,000. This figure jumped to roughly $800,000 the following year. Goodman anticipates to land nearly $2 million in sales by the end of this year. With figures such as this, the continued rise of PourMyBeer seems inevitable. Moreover, every last drop of beer also gets put in a glass. Nationally, 23 percent of a beer keg’s content gets spilled, wasted or stolen. By reducing the human factor in the bar equation, companies save money by cutting back on spillage. Many businesses end up selling twice as much beer. The appeal of PourMyBeer has also reached international attention. We have taps in the United States, Canada, Australia, Europe, and recently, Brazil. Earlier this year, we expanded into Brazil. The choice was simple — Brazilians drink a lot of beer. Annual consumption of beer in Brazil exceeds 12,000 mega liters, roughly equivalent to two hundred million 15.5 gallon kegs. This makes Brazil the 3rd largest market for beer in the world. To add perspective, the United States — a nation famous for its love of beer — sits at the number 13 spot with 81.6 liters consumer per person annually. When picturing a beach in Rio, it’s tempting to picture a glass of Cachaça in the tanned hand of a relaxed Brazilian. In reality, that hand is likely grasping a beer. Beer represents 61 percent of the total alcohol consumed in Brazil. This taste for beer has only increased in recent years, too. Since 2009, alcohol sales in Brazil have increased by 31.1 percent. This shift comes at the heels of a decade of Brazilian economic gains. The blossoming economy in Brazil has pumped a lot of money into the growing middle-class. These people comprise a huge market for products like beer. As the Brazilian economy continues to ascend, the middle-class will gain disposable income. This increased purchasing power gets pumped into products like beer, and PourMyBeer will be there with the taps. With the Brazilian economy in full swing, Brazil represents a smart choice for foreign investors. We have seized this moment in Brazilian history to offer the product the country seems to love most. Not only do Brazilians have a thirst for beer, but they also have the money to buy it. Nilson and Cesar Madeiros are set to supply it to them. By comparing Brazil with the United States, Madeiros emphases the likelihood of PourMyBeer’s success in South America. If PourMyBeer can take hold in America, with all the legal impediments, then certainly it will flourish in Brazil. In America, the business of beer operates in unique way. The advantages of our expansion into the world market become clear after understanding the American “three-tiered system.” In the United States, the biggest obstacle in preventing the fluid movement of beer from brewer to drinker involves the three-tiered system. Currently, breweries cannot sell directly to retailers, such as bars, restaurants and liquor stores. All beer passes through a middleman. This intermediary takes the form of a distribution company. Why do distribution companies stand between manufacturer and customer? The answer becomes apparent by peering into the past. When beer companies first appeared, they sold directly to retailers. Some companies, like Schlitz, began to pressure bars into selling their beer exclusively. This practice forced smaller breweries out of business and established a monopoly for companies like Schlitz. These unfair tactics, combined with the popularity of the temperance movement, resulted in the Prohibition. America’s experiment with sobriety ended in 1933, when the 21st amendment brought beer back. Looking to the future, America needed to remedy past mistakes. Seeking to prevent beer companies from leveraging retailers, new laws created distributors — and the three-tiered system was born. Distributors act as the go-betweens for suppliers and customers. Almost all alcohol in America gets sold to retailers through distributors. Strict laws maintain the neutrality of distribution practices. No brewery can receive preferential treatment in getting their beer to customers. Meanwhile, retailers cannot get perks by stocking certain brands of beer. Enables transparency of business transactions. Ensures there is no special treatment for big beer companies. Cuts back on the potential overhead costs retailers may see from shipping directly to buyers. 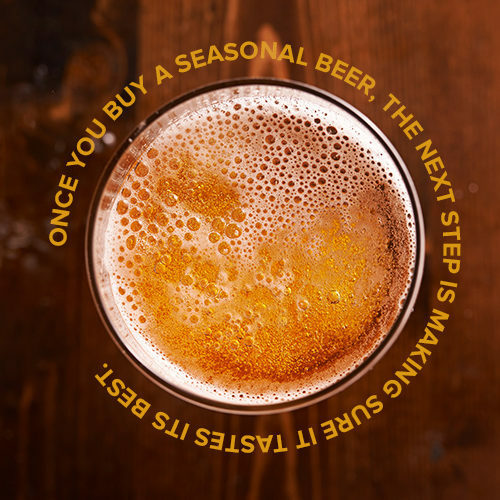 Incentivizes distributors to push product, ensuring beer doesn’t go bad. Provides 92,000 jobs to American distributors and takes in $8 billion every year. Despite its benefits, the three-tiered system has many detractors. Most complaints center on the issue of beer price. In this system, one important question arises — who pays the distributors? The beer drinker does. When a customer buys a beer, a portion of that money goes to distributors. In short, the three-tiered system makes beer more expensive. For an industry modeled on fairness, the three-tiered system seems to grant undue exceptions to wine over beer. Breweries can’t sell a drop of beer without a distributor, but in 35 states, wineries sell directly to customers. Not long ago, it was illegal for wineries to sell to customers not residing in the same state. In 2005, a supreme court decision aimed at preventing obstacles to inter-state commerce changed all that. Now, wineries can legally ship wine across state boundaries. To avoid breaking this anti-Commerce law, states can either choose to allow all shipping or none at all. Indiana chose the latter — in-state shipping results in a misdemeanor for the 30 wineries operating in the state. However, nothing similar to wine shipping exists for breweries and many beer-lovers have noticed the inequality. If breweries followed the same law, craft beer companies could greatly increase their sales. The only explanation as to the favoritism shown to wine concerns prestige. This attitude of regarding wine as more esteemed than beer will hopefully pass. As we come full circle, it’s clear that PourMyBeer doesn’t answer to alcohol distributors because we supply the equipment. And although the present three-tiered system doesn’t directly affect PourMyBeer, it does affect beer itself. We care about the product we pump from our taps. Goodman’s dream when he sat in that Baltimore bar involved freeing beer and people from restraints. As the issue of beer freedom unfolds, we remain committed to getting beer in glasses in the best way possible. Mobile Beer Wall — 84″-long draft beer dispensing system on wheels. Easy to move around, the wall offers 4 taps, each with RFID reading technology, keg couplers, flow control and FOBs. A refrigeration unit maintains a temperature of 34°F so the beer pours out ice-cold each time. Built-In Beer Wall — This custom wall can serve an unlimited number of taps for any establishment. It fits into any wall, regardless of material. This permanent entity allows for the storage of kegs in a cold box behind the wall. Glycol lines can also run through the wall to dispense beer not kept behind it. Mobile Beer Table — This portable unit offers four taps with either two or four beers. There’s nothing else like this self serve beer table. Built-In Beer Table — With screens built into the beer towers or nearby on a wall, all the information about the beers and the customer’s drinking limit are prominently displayed. Price tags for the tables begin at $4,000, while a fully functional beer walls range as high as $16,000. Request your free quote today to see if a self serve beer dispensing system is the right move for your establishment.